Jonathan Edwards was a reformed revival preacher in the 1700s and played a key part in shaping the First Great Awakening in the United States. He is famous for his inspiring (and terrifying) sermon "Sinners in the Hands of an Angry God" and his book Religious Affections that still impacts the world today. When he was a young man he was something of a prodigy. He attended Yale at 13 years old. began writing up resolutions regarding how he would live his life. He recorded up with 70 statements in his diary indicating his spiritual intentions. For a young man these were some strong resolutions that most of us would doubtfully begin to aspire to. Still, they bear some consideration. Pastor John Piper formerly of Bethlehem Baptist in Minnesota shared them on his blog which you can check out here. Just as a taste, here is his first. I encourage you to check the rest of them out. Also check out the announcements below. Hopefully this isn't the first you've heard about them. Can't wait to see you Sunday! Remember, Above all, YOU ARE LOVED! What are you waiting for? Register now for the No Regrets Men's conference. You will be blessed by some fantastic national speakers sharing in the main sessions as well as some local pastors leading breakout sessions - including our very own Knute Larson. 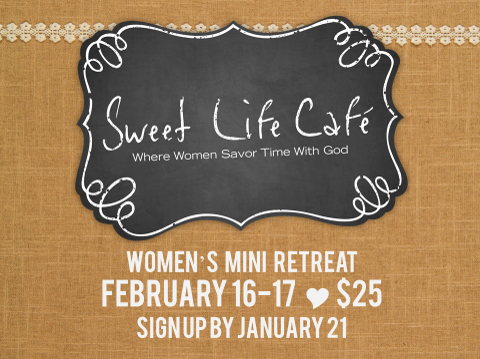 You don't want to miss this opportunity to keep growing in your faith and developing good friendships with other men. Make sure you sign up before the deadline on The Chapel's website!